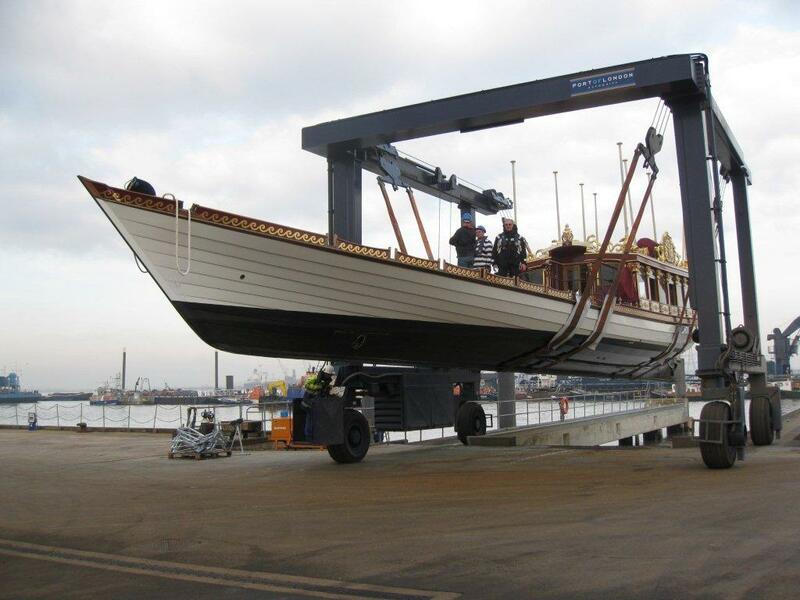 THE Queen's Row Barge GLORIANA has been put into storage for the winter. 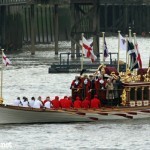 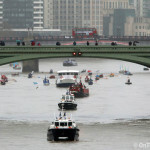 The vessel had been at St Katherine's Dock and was seen being towed east of Wapping earlier this week. 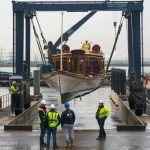 Thames Alive later confirmed she was being taken to Denton, Kent, where she would be craned out of the water and put in to storage for the winter. 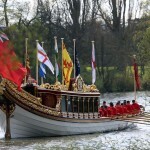 Gloriana was built for the Queen's Diamond Jubilee last year and has been a popular sight at events and regattas on the Thames this year. 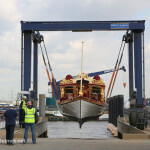 Thanks to Thames Alive for this photo of her being craned out of the river last year.